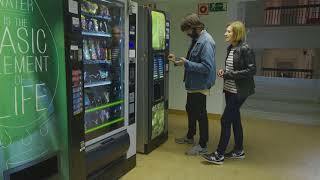 The University of Deusto is a hub of 37 research teams working at the University’s six faculties (Psychology and Education, Social Sciences and Humanities, Engineering, Law, Economics and Business Administration, and Theology) in three different campuses: Bilbao, San Sebastian and Madrid. Since 1987, the University has undertaken a strong internationalisation process that has facilitated and multiplied its opportunities for international collaboration. This strategy is based on strong networking with key institutions and stakeholders across Europe and beyond and on the quality of the results and the impact of its research and educational endeavours. 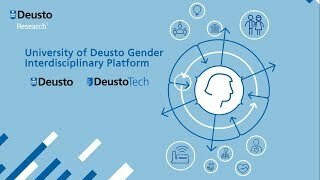 Today the University of Deusto participates in a large number of research collaborative projects funded by the European Commission (such as FP7 and Horizon 2020), is part of a wide number of international networks and has signed multiple cooperation agreements with universities and research centres all over the world. The Interdisciplinary Research Platform on Gender is composed of 40 researchers from 15 different research groups, showing a strong interdisciplinary character. It aligns the interests of the various research initiatives with the international research agenda, mainly in the context of Horizon 2020 - the EU programme for Research and Innovation. Tuned with the EU priorities supporting Institutional Change, the platform has consolidated an international network of stakeholders working on the implementation of gender equality plans in Universities. In addition, the platform has reinforced its presence at international fora, such as the participation at European Commission events and the Gender Summit. This has resulted in the broadening of international contacts and collaborations and the submission of Horizon 2020 research proposals on gender. secondly, with fostering interdisciplinary research projects on gender topics / gender mainstreaming in research. Precisely, given its interdisciplinary nature, the platform has been a vehicle for diffusion and dissemination of the University’s pioneering initiatives on gender issues, such as the Ada Byron Award, which recognises the work of women scientists. Intersectoral collaboration is based on strong partnerships with local and regional players, such as the Basque Government or the Basque Institute for Women (Emakunde). Examples of this collaborative framework are the joint organisation of the conference “Transformative forms of parenthood” held in March 2016 with the Basque Government; or a research project on Human Trafficking supported by Emakunde.